FLAGSTAFF — The Coconino Coalition for Children & Youth will hold its first monthly board meeting of 2019 from noon to 1:30 p.m. Tuesday, Jan. 22 at the County Health and Community Services Building, 2625 N. King St., Pinon Room, Flagstaff. 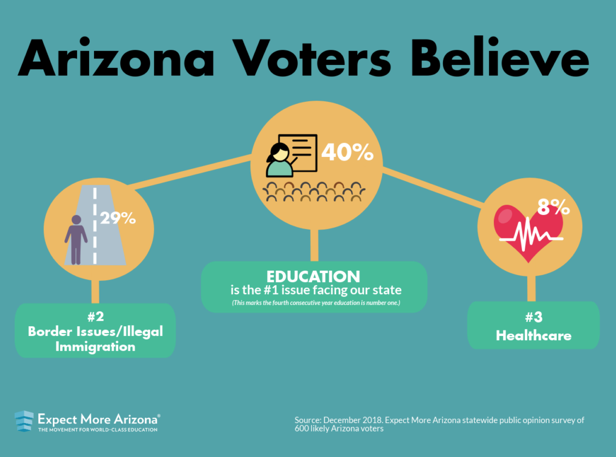 Jennifer Hernandez from Expect More Arizona will present a review of its mid-December 2018 public opinion survey of 600 likely Arizona voters. Results of the poll showed voters believe education is the most important issue facing our state, above immigration, healthcare or the economy. CCC&Y Executive Director Virginia Watahomigie will also present an overview of the Coalition’s trauma and resiliency project with local school districts and conferences. ALL are welcome to attend the Coalition’s monthly board meeting and join in the discussion. Send an email to info@coconinokids.org or call 928-679-7318 for more information.